Today’s electronic musician has high expectations, taking digital synthesis, sampling and hard-disk recording for granted. Forty years ago, such hackneyed technologies were virtually unknown, but thanks to a couple of academics from Dartmouth College in the US and a producer from California, one instrument would combine them all and change the way music was made. Beginning as a project intended to employ the power of Dartmouth’s in-house computer system to facilitate FM synthesis, the Synclavier was the brainchild of software programmer and student Sydney A Alonso and Cameron Jones, along with Professor of Digital Electronics Jon Appleton. Their initial efforts morphed into a standalone hardware/ software combo that combined synthesis and sequencing. This first incarnation was known simply as the ‘Synclavier digital synth’, and some 20 of these were produced. A few years after the first Synclavier’s release, Yamaha would make bank with FM synthesis, and maintain a stranglehold on its patent for the technology. Yet, thanks to a re-licensing deal with the Japanese Giant, the Synclavier I put FM into the hands of moneyed university music departments, if not the keyboard player at your dad’s local pub. However, though the initial edition of the Synclavier caused a splash with musos like Mike Thorne, it would be NED’s sophomore effort that thrust the Synclavier into the music charts. 1980 saw the release of the second version, imaginatively dubbed Synclavier II. This time, NED included their own ‘partial timbre’ sound-layering technique. A couple of years later, they introduced 16-bit sampling – initially only in mono, but eventually the sampling engine would allow stereo samples, with sampling rates up to 100kHz! In 1984, NED began calling their instrument simply the ‘Synclavier’ and had tapped Sequential Circuits for a 76-note weighted, velocity and aftertouch-sensitive keyboard (replacing NED’s own rather dire ORK keyboard). The new ’board was called the VPK and sported the now-familiar sleek black finish, red LED display and banks of illuminated buttons. Initially 16-note polyphony gave way to 32, expandable to a whopping 96 notes – impressive even today! The Synclavier system offered one more innovative option in the form of hard-disk recording. Yes, it truly was a digital audio workstation – in 1984, no less. Needless to say, such technological wonders were anything but affordable in the mid-1980s. 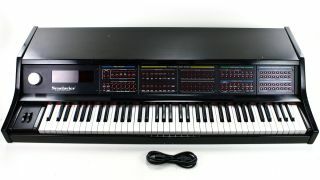 With a starting price of $13,000, a Synclavier system could be kitted out with all of the trimmings, increasing that price up to $400,000. Such extravagance was restricted to academia, studios or pop stars who could afford such a purchase. Famous users have included Frank Zappa and Pete Townshend, proggers Tony Banks of Genesis, Geoff Downes of Asia, and Mute Records’ Daniel Miller, whose Synclavier would be used on a few Depeche Mode productions. Technology eventually caught up to New England Digital, and they closed up shop in 1993. However, Synclavier users themselves have kept the system alive with support and updates. The masters of mimicry only went and wrangled up New England Digital’s own Cameron Jones to help recreate the Synclavier in virtual form. Like the original, it offers additive and FM synthesis and multipart layering, along with resynthesis and even access to classic Synclavier sounds from the original factory library. 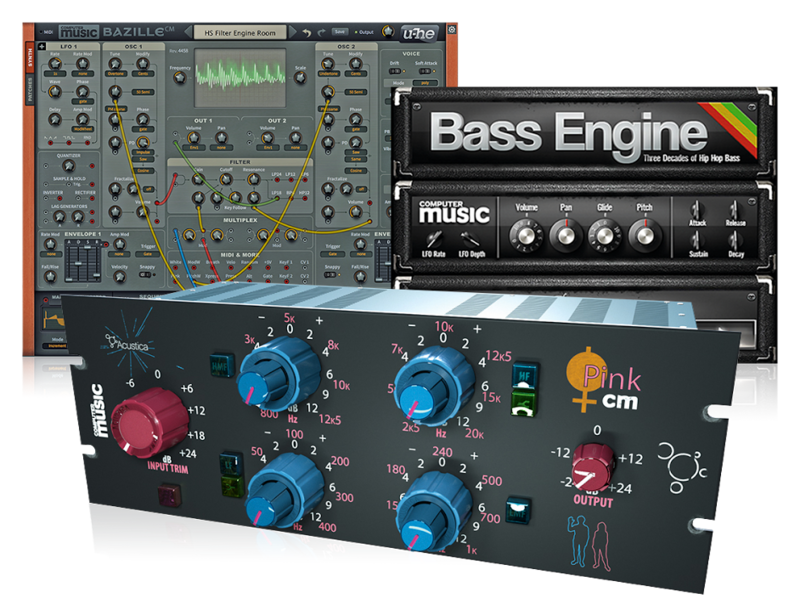 Sample instrument masters UVI offer up this triple whammy of a tribute to the Synclavier. It comes in the form of three bundled instruments: the Beast FM II, an FM and additive synth; the Beast Terminal, which can recreate the experience of the Synclavier’s computer interface; and the Beast Box, an FM-based percussion machine. Find out more on the UVI website. A faithful recreation of the Synclavier II’s FM Unit, it offers a quartet each of carriers and operators, an additive harmonics generator, a pile of ADSRs, flanger and bit-depth effects. Cross- platform, despite being made with SynthEdit. Find out more on the Digital Systemic Emulations website.